For the past month, we’ve been exploring the towns and cities of Canada on a road trip touring our latest show, Rowed Trip.With a rowboat on the roof on our car and a whole lot of audiovisual equipment inside, we’ve slowly been making our way east, starting on Vancouver Island and ending in Ontario two weeks from now.Although a little different from paddling the craggy shorelines of Scotland or rowing the majestic Danube, it is a rewarding experience of a different kind, taking us from the rugged shores of BC, to the Rocky Mountains, under the wide-open skies of the prairies and finally to the shores of the world’s largest lakes. Currently we’re staying with Julie’s family in Toronto, and preparing for our final four presentations in Ontario – Ottawa, Waterloo, Toronto, and Kingston. 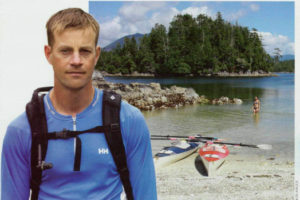 As we traverse Canada sharing our stories and promoting our new book, Rowed Trip, we can’t help but notice a parallel theme unfolding. 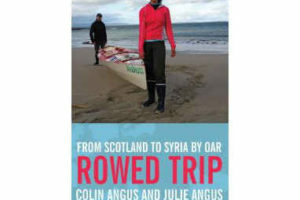 Rowed Trip is about connecting our ancestral homelands – travelling from Scotland where my mother and father were born to the Middle East where Julie’s father is from. Our present road trip, coincidentally, started on Vancouver Island where my mother now lives and ends in Ontario where Julie’s parents reside. Once again, we’re on a long journey connecting family. Just as in our last adventure, we’ve met many great people en route and a big thanks to those of you who have come out to our presentations.One of the most rewarding parts is hearing your thoughts on adventures, boats, bikes and other fun stuff. We hope you enjoy Rowed Trip. In a few weeks we’ll finish our road trip and will be back on Vancouver Island, eager to explore our snowy mountains and settle down with a good book.